The reinsurance market remains ‘pretty rational’ despite the highly competitive and over-capitalised nature it finds itself in right now as well as the growing influence of insurance-linked securities (ILS), said Richard Watson, Chief Underwriting Officer at Hiscox. The new entrants to reinsurance and the ILS capital they often bring with them is having a tangible effect on the market, Watson said in a recent interview for Bermuda headquartered insurance and reinsurance group Hiscox’s Global Insight magazine. However, the impact that new market entrants, insurance linked investment capital and collateralized reinsurance capacity from ILS is having comes more from how it influences the traditional reinsurance market, rather than anything it has done itself, Watson explained. “They have spurred the established players on to be more innovative and more aggressive to fight for market share, especially at a time when cedents have capital and are buying less and at higher attachment points. This has created a highly competitive market for buyers,” Watson continued, referring to the new entrants and new capital. Watson does not think that new entrants are acting irrationally, or lacking in discipline. “It’s not that these new entrants are doing anything stupid. You can find deals that are more keenly priced, that’s true, but they tend to be the exception rather than the rule,” he said. He notes in the interview that much of the new capital coming into reinsurance is focused primarily in property catastrophe risks, where the baseline pricing is largely set by the use of established catastrophe risk models. This is an important point in the discussion about pricing discipline, where a floor will be found and that this pricing floor will likely differ between reinsurance players with different capital and business models. The lower-cost and efficiencies of ILS capital can allow investors to price risk below the levels considered acceptable by traditional balance-sheet players. This can go some way to explaining the claims of ill-discipline that are occasionally levelled at the ILS market by some of those who perhaps have a higher capital cost. Watson said that the reinsurance market today, despite its highly competitive (sometimes aggressively so) nature, is different from in the past when some players did what he calls ‘extraordinary things’. But he doesn’t see that in the current market, adding that it’s ‘pretty rational’. The investors backing ILS and alternative reinsurance capital structures are not ones which have participated directly in reinsurance before, notes Watson, which is an important shift in the business. “The reinsurance market has seen capital come and go regularly. We shouldn’t be worried that our market changes. It’s a measure of an organisation how it adapts to new challenges and I think Hiscox is adapting pretty well,” he continued. Watson also said that while the new capital is estimated to be providing as much as 15% of catastrophe reinsurance capacity now, it has become an important element of the market but isn’t yet turning it on its head. Watson said that despite the pricing of property catastrophe reinsurance indicating that it has become commoditised, he does not believe that something so complex will ever truly be a commodity, as in an off the shelf purchase with simple features. 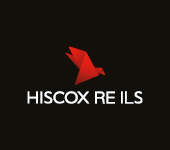 Hiscox has plans beyond the current Kiskadee structures and from Watson’s comments, looks set to launch new structures whenever it has sufficient interest from investors and the opportunities exist to deploy that capital alongside its own underwriting capital. “Kiskadee is probably going to be the first of several structures we put in place to allow us to underwrite on behalf of other capital providers. I’m agnostic about the source of capital we use. If there are funds that want to be involved in reinsurance then we’re happy to help them do that using our underwriting expertise,” Watson continued. You can read the full interview with Richard Watson in issue 4 of Hiscox’s Global Insight magazine here.